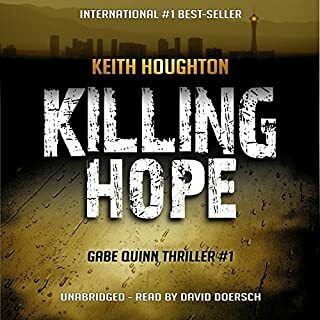 Former homicide detective Gabe Quinn has quit the LAPD and is chasing his demons pro bono - determined to catch or kill the two serial killers responsible for ruining his life. But when a mutilated body is washed up on a picturesque Florida beach, it marks the beginning of the end for Gabe and his sanity. Nothing is quite what it seems and never will be again. What follows is an explosive race to save a woman's life from the hands of a madman. But this is no ordinary kidnapper. This is Gabe's nemesis - the murderer of his wife, the monster responsible for killing Hope. And he has returned with an old score to settle. One that will force Gabe to cross every line he has ever made. Author note: The back story in Crossing Lines continues from the first book, Killing Hope. To enjoy the whole experience as intended, I recommend listening to the Gabe Quinn Thrillers in numerological order. This book picks up where Killing Hope leaves off. Celebrity Detective Gabe Quinn is still looking for the monster who murdered his wife. His tactics are not always on the right side of the law. 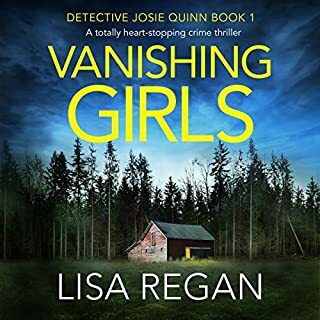 Of course there are also other shady but colorful characters from Quinn's past who would like to do him harm and threaten to derail his search. I can't spoil this for anyone, you just have to get this. I personally thought David Doersch did a super job with both books. I think I will always see Gabe Quinn when I hear his voice. 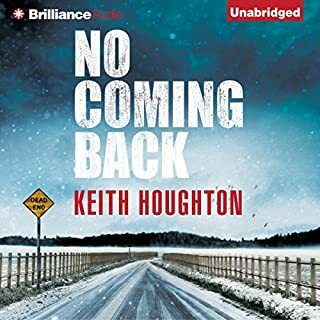 My hope is that Keith Houghton doesn't change narrators. This book contains so many high tension mystery/drama/thriller dialogues and settings. I could not stop listening. 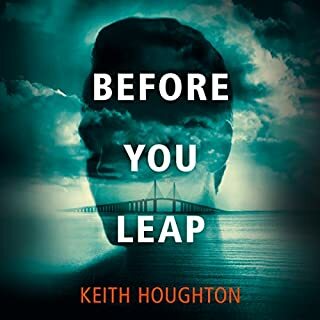 The protagonist has had so much heartache but is determined to find his wife's killer that when he does the identity will knock your socks off. The person he suspects is not him but his actions will come back to haunt him. 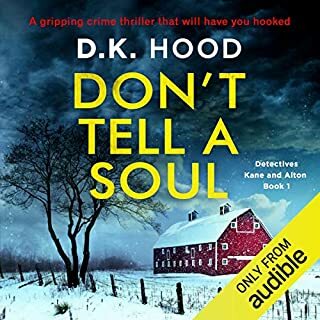 He rescues a woman left for dead as well and the scene is again shocking but the epilogue,WOW - what a cliffhanger for the next book in the series. I can't wait! I Highly Recommend this book. If you're reading my review do yourself a favor, don't keep thinking about it, just get it, you won't be sorry. Gabe Quinn, the celebrity cop (actually ex-cop), arrives at solid 5 stars in Crossing Lines which is book 2 in the series. I'm almost 2 years late getting to this serious action thriller. There have been some negative comments about the narrator David Doersch, but to me has the perfect voice and cadence for this material. 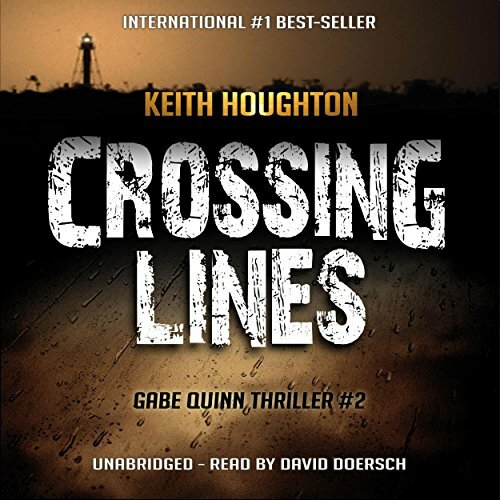 Crossing lines is a great action thriller and serial killer novel that would make a wonderful movie. Hands down the best book I have heard in a long time. The turns and twists were amazing. I was at the edge of my seat wondering where to next. I never saw the end coming. If you read my review of the 1st Gabe Quinn book, you will see that I loved the narrator (same gent David Doersch) in book 1. However, in Book 2, he simply couldn't get the British accent, and kept sliding from high-class Brit to ordinary British bloke to Scottish and even to Irish accents. Irritating and distracting. The story in book 2 is much better. Apparently Mr. Houghton likes to SHOCK you at the end, but at least this time the surprise was someone we knew something about, had heard of, etc. My motivation for continuing with this series is the character. Gabe Quinn is appealing and interesting. This is the kind of story where they just increase the amount of psycho killers to keep this revolving thriller going. Honestly I would drift off to think of other things. Thank you for the reviews! I liked the character - But there is something big missing overall from the story-line. I think he was going for shock factor & A lot of red herrings. Unfortunately there were too many unlikely scenarios... I know - I know - I am expecting too much. It was like eating spam as apposed to ham.. You might like it - You might not. But it's not ham. It's just processed meat jammed together. That is how I feel about this book. This is the second Gabe Quinn book in a series of three and I have added the last to my wish list without hesitation. 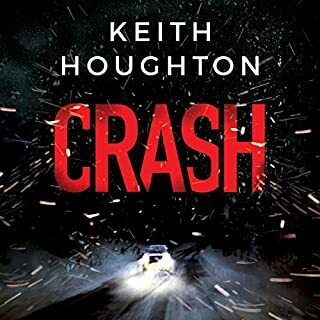 Keith Houghton kept me interested through to the end and David Doersch has a great voice for narrating. I am always looking for a great book that keeps me on the edge, biting my fingernails and holding my breath. This book had my heart racing and my mind racing to 3 or 4 possible conclusions with always surprising results. The narrator is excellent at portraying the different characters. This was definitely my adrenaline rush for the last couple of days. I am addicted. I liked the first book in this series enough to read the next one immediately, and while I wasn't too disappointed, it was a bit disheartening to see how much of the plot of the first book was recycled into this one. Not just people and details, but pretty much the story arc itself, plugged in with different characters and some John D McDonald plot added on near the end. The writing is good, the narration is good, the story line is wild enough while still believable, but I'm not excited to read any further in the series, as the author seems to have a limited bag of tricks . . .
Would you listen to Crossing Lines again? Why? What three words best describe David Doersch’s voice? Amazing action. So many unexpected twists & turns, that no way could I figure out who dunnit. Narrator a pleasure to listen to, good accents, varying with different characters. Very good and surprising plot, a memorable experience. This was a fantastic book, it is truly amazing. I really could barely leave it alone.